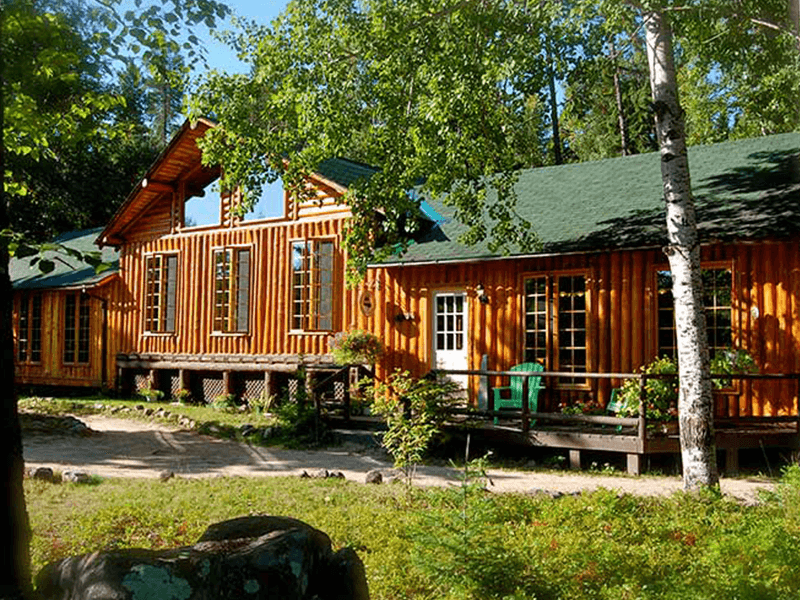 Tour #8: Get Creative in Algoma County – Inspired by the Group of Seven. This tour includes Agawa Canyon Tour Train with local artist. Tour #9: Original Meeting Place. 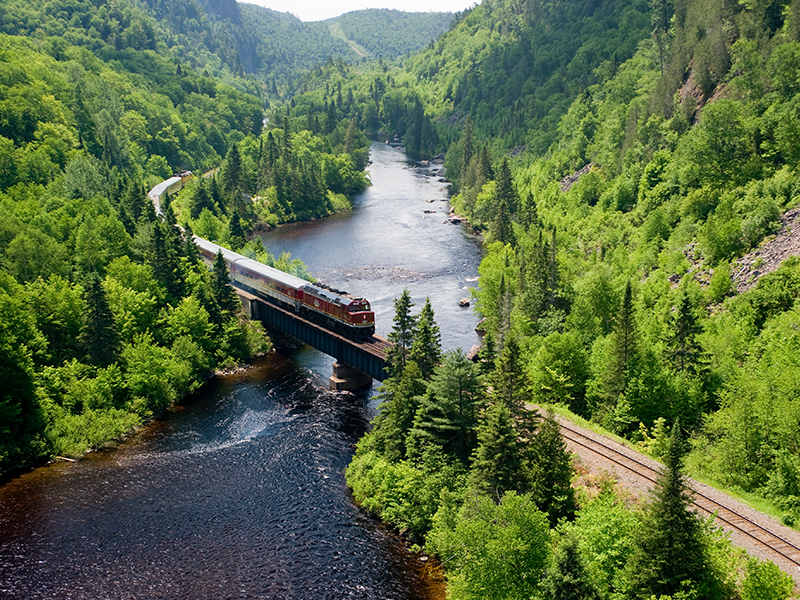 This tour includes Agawa Canyon Tour Train. All pre-tours take place starting Sunday, June 16 and ending Wednesday, June 19, 2019, unless otherwise specified. Please make arrangements to arrive anytime Sunday, June 16, 2019; mid-afternoon is recommended. All delegates will be staying at the Delta Sault Ste. Marie Sunday evening and departing on pre-tours first thing Monday morning. Shuttle service will be provided between Sault Ste. Marie International Airport and the Delta Sault Ste. Marie. Low – I can undertake light activity such as walking with a slight incline, leisurely cycling along a mainly flat route, and whale watching in an open vessel. Moderate – I can walk/run five kilometres, I can walk up six flights of stairs, I can cycle 10 kilometres and I am comfortable kayaking for an hour. High – I regularly engage in sports such as long-distance running, weight training, mountain biking, hiking steep inclines and/or competitive team sports like soccer or hockey. Extreme – I regularly engage in extreme adventure sports such as rock climbing, kite surfing, triathlons and marathons. 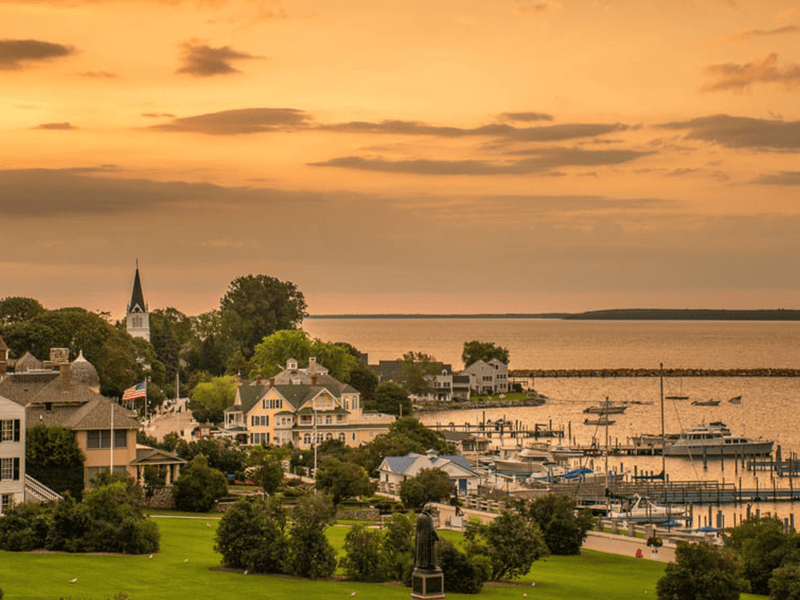 Enjoy historic Mackinac Island, with a ferry ride from St. Ignace, Michigan to the island. Stay two nights at the famous Grand Hotel, including fine dining, swing dancing and views to take your breath away. Tour highlights include horse-drawn carriage tour of the island and lunch at Fort Mackinac. Main mode of transportation is walking or biking. No motorized vehicles allowed. 2. Two rooms will accommodate couples, so couples may choose to attend the same pre-tour. Located on Wakomata Lake just off Hwy 129, this great resort offers incredible fishing. Delegates will be treated to a half day of walleye and bass fishing on Wakomata Lake under the guidance of Tyler Dunn guiding. Jim, our host, will guide delegates during their stay. Boats and motors will be available on site for use. You can have your choice here of HOW to fish – we'll assist you with the WHERE and WHEN. Options include fly fishing, bait fishing, trolling, spinning, and casting for smallmouth bass, walleye, whitefish, lake trout and salmon. Lakes, reservoirs and rivers, streams, brooks and ponds to explore, all within a 7 km radius, are ready to be explored. Pre-tour Return: Tuesday, June 18, 2019. Stay at Water Tower Inn & Suites. Media will be transported up to Wawa and where they will stay at Rock Island Lodge. 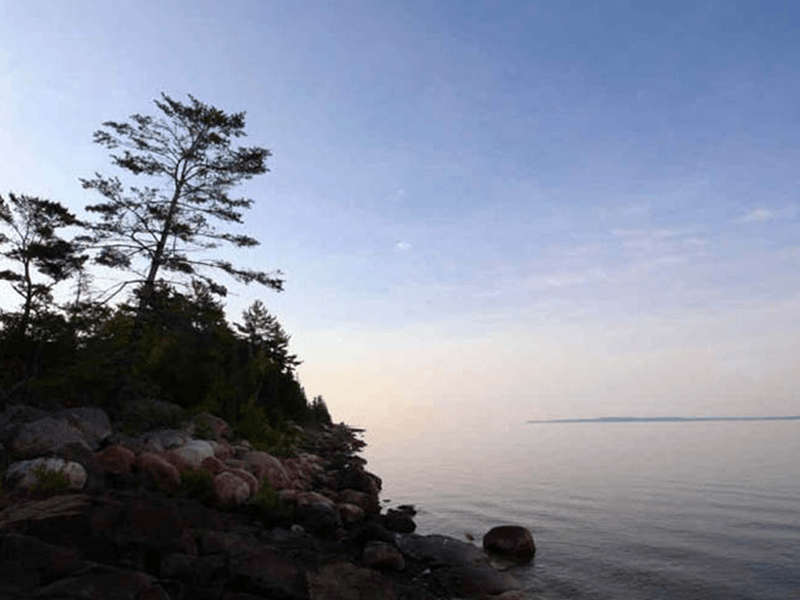 There they will take part in two days of paddling on Lake Superior (weather dependent), as well as experience a trip on Lake Superior by Voyageur Canoe, exploring the area around Rock Island Lodge. Food provided courtesy of Municipality of Wawa. 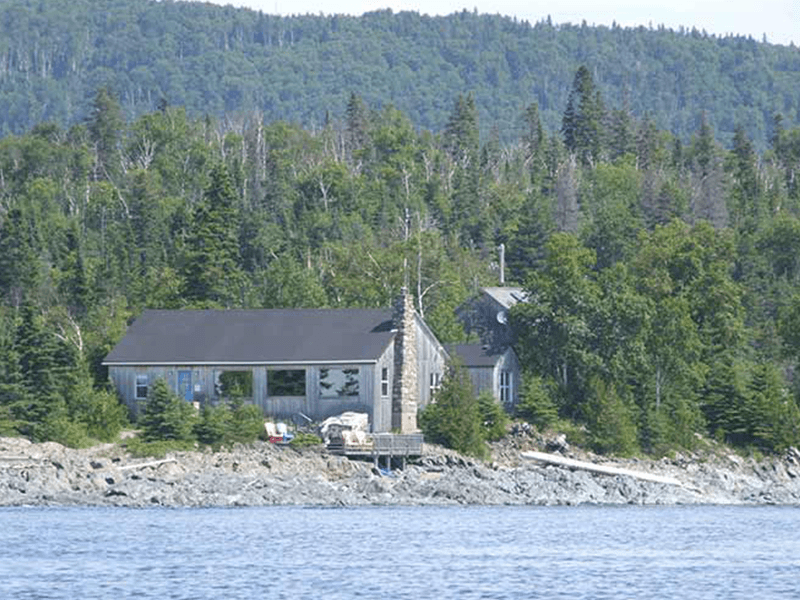 Head to Bruce Mines and enjoy your stay at Bruce Bay Cottages. Adam from Angling Algoma will be guiding as you fish for smallmouth bass and northern pike. Those who do not wish to fish can explore the French Island and take in Lake Huron. Paddling in the bay in front of the cottages is also an option. A tour of the lighthouse can also be arranged, during this tour some history of the lighthouse will be provided by the owners. Delegates will travel approximately 3 hours north to Chapleau, Ontario. They will then board a train from Chapleau into Mar Mac Lodge. A few days fishing will be spent at the lodge. If a lodge experience is what you are looking for, enjoy the wildlife or relax on the deck of your cabin. On the Tuesday delegates will fly out to White River and drive back down to the Sault. 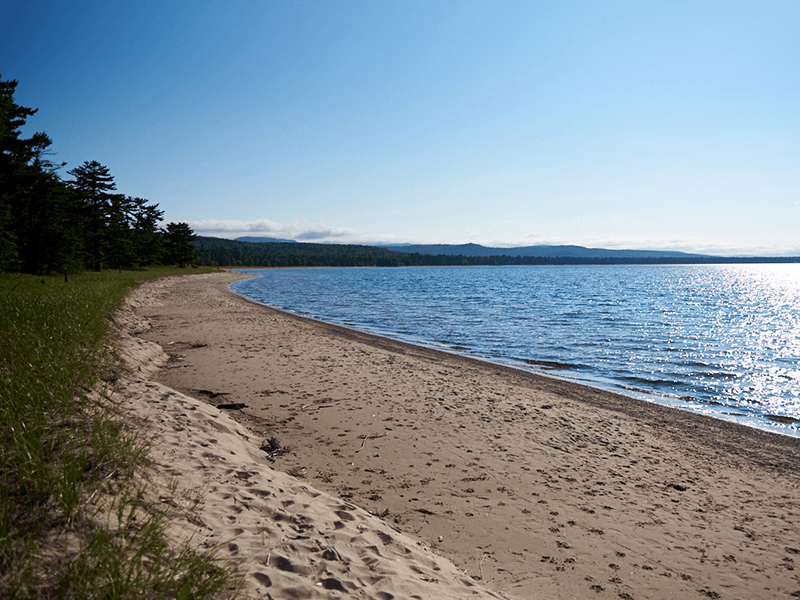 Enjoy the glamping experience in Pancake Bay Provincial Park in a your very own yurt! Enjoy Lake Superior, the wildlife, the constellations and guided hiking! 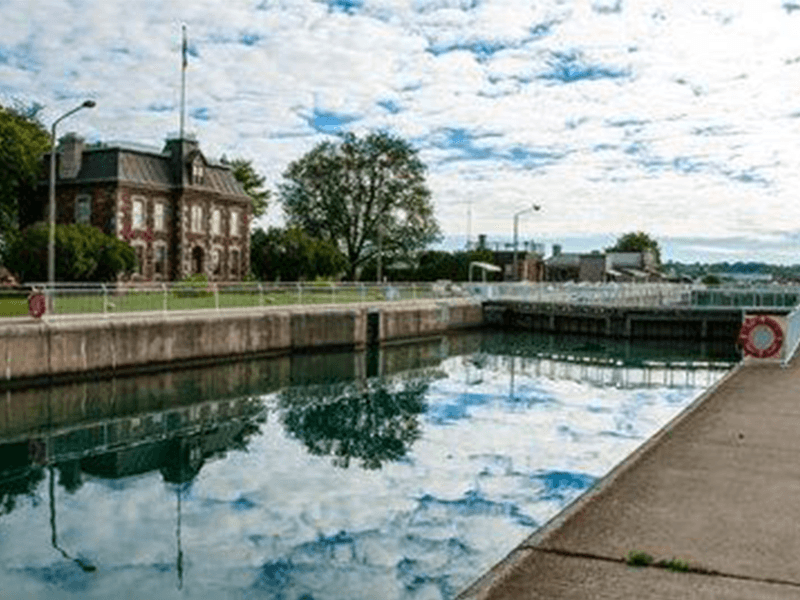 The area offers the historical and Indigenous history of the Sault and Algoma area. 1. All yurts have two beds, so couples may choose to share. 8 . 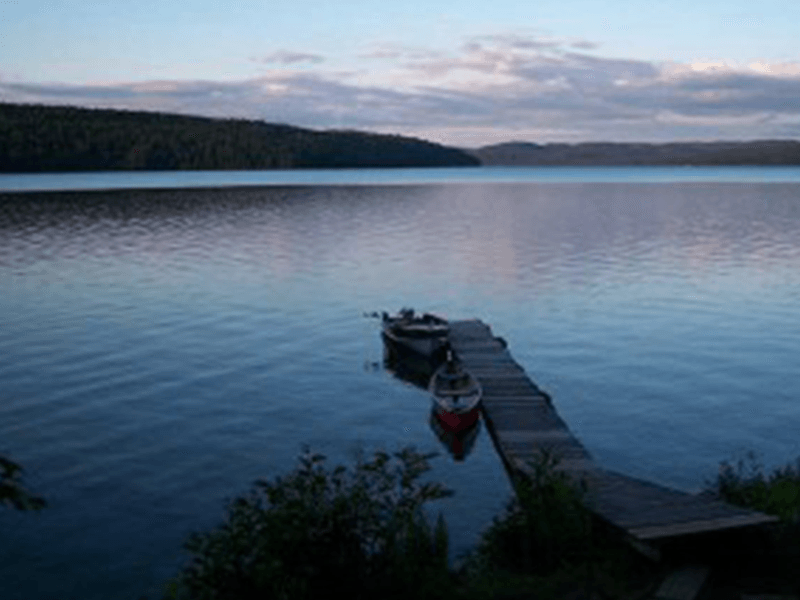 Tour #8: Get Creative in Algoma County – Inspired by the Group of Seven. This tour includes Agawa Canyon Tour Train with local artist. Enjoy a Group of Seven reception at the Art Gallery of Algoma, viewing Group of Seven originals. Take in a Live Theatre Performance, Moments in Algoma, based on the Group of Seven’s Lawren Harris. 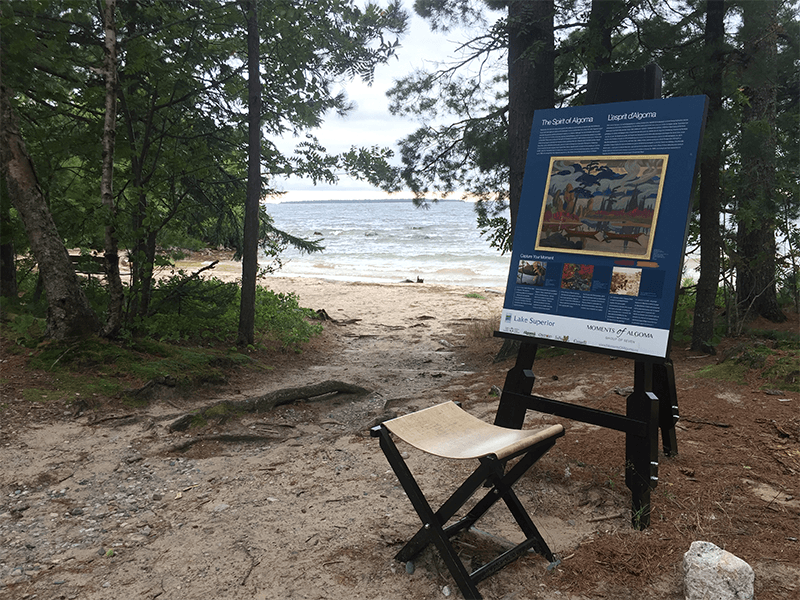 Monday will begin the Group of Seven journey at the artists’ replica Box Car located at the Sault Canal, followed by a Lake Superior Coastal Drive, visiting painting sights, waterfalls, Lake Superior beaches, local artisans and enjoying a lakeside catered lunch. Welcome aboard one of the most popular train tours in North America. This one-day wilderness excursion will transport you 114 miles north of Sault Ste. Marie, Ontario, over towering trestles, alongside pristine northern lakes and rivers and through the awesome granite rock formations and vast mixed forests of the Canadian Shield. Through the large windows of our coaches, the beauty of the region will unfold and you will experience the same rugged landscapes that inspired the Group of Seven to create some of Canada’s most notable landscape art. As the train winds its way through this immense land, a GPS triggered commentary, available in six languages, will tell you about upcoming points of interest and share some of the rich history of the region with stories of the Ojibway, fur traders, explorers and entrepreneurs that pioneered this vast wilderness and called it home. by faulting and widened and reshaped by the last ice-age that retreated 10,000 years ago. As the train pulls to a stop at Mile 114, you’ll have an hour and a half to experience the pristine beauty of Canyon Park up close. The whole family can enjoy scenic walks on gravelled trails leading to several waterfalls or experience an invigorating climb up over 300 stairs to the breathtaking Lookout, perched 250 feet above the canyon floor. For those who are looking for something a little more relaxing, enjoy a peaceful lunch in the many picnic areas throughout the park or just pull up a bench and watch the Agawa River flow peacefully by. Though well maintained, this is a wilderness park setting and we recommend seasonal recreational clothing and footwear. There’s also plenty to photograph during your excursion so be sure to pack your camera. 9 . Tour #9: Original Meeting Place. This tour includes Agawa Canyon Tour Train. Sault Ste. Marie is the ancient original meeting place of the Algonquin Indians was originally named Bawating referring to the St. Mary’s River Rapids, which separates the two cities of the same name. Whitefish Island located along the St. Mary’s River, downtown Sault Ste. Marie is the location for the original village. Participants will tour the island with local Indigenous guides and participate in local teachings. A visit of the Shingwauk Residential School at Algoma University is also part of the tour. 1. Specific media/photo permissions will be requested based on local guides/teachings.